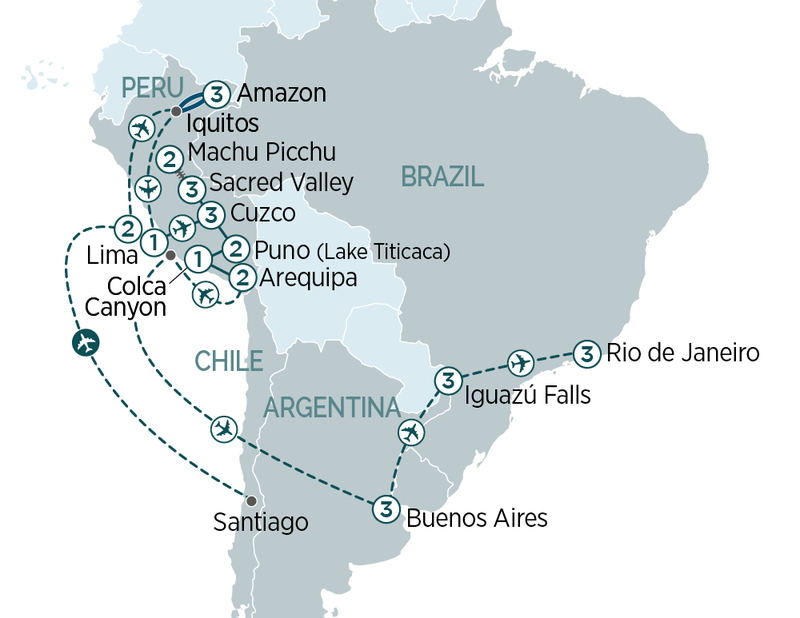 From Lima to Rio de Janeiro, discover the best of South America on a 29 day journey including Machu Picchu, Sacred Valley and a luxurious Amazon cruise. Bienvenido! Welcome to Lima, Peru. This city, known as the “City of the Kings”, is rich in history and culture. Upon arrival, you will be met and transferred to your hotel.